This set of templates was selected for a housekeeping cleaning services company pitching their services to clean foreclosed properties and apartments to a property management company. non-profit is hard enough. 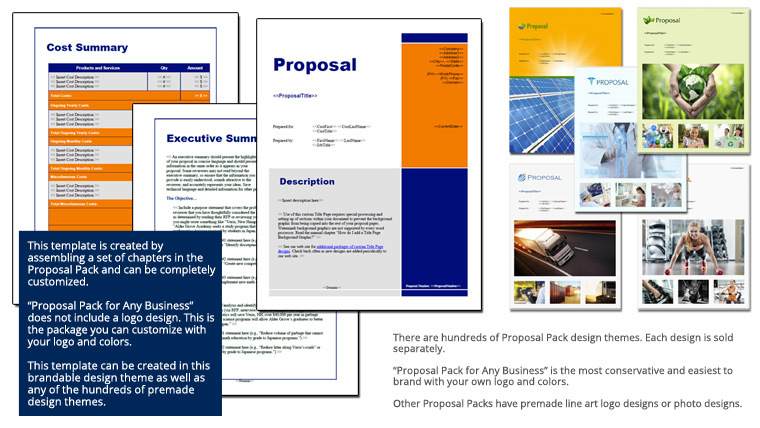 With the help of the Proposal Pack it allowed us the template we needed to help get our proposal off to a successful start! The professional look I wanted was already created no need to reinvent the wheel just use what was already there. The Proposal Kit folks already knew what would work and it did for us."